michel (a) mathematik.uni-siegen.de (please replace ' (a) ' by '@'). Professor Michel studied industrial mathematics (Technomathematik) at the University of Kaiserslautern and received his diploma in 1995. Afterwards, he was scholarship holder in the DFG funded research training group "Technomathematik" at the University of Kaiserslautern until he became a research associate (wissenschaftlicher Mitarbeiter) at the Department of Mathematics in 1997. 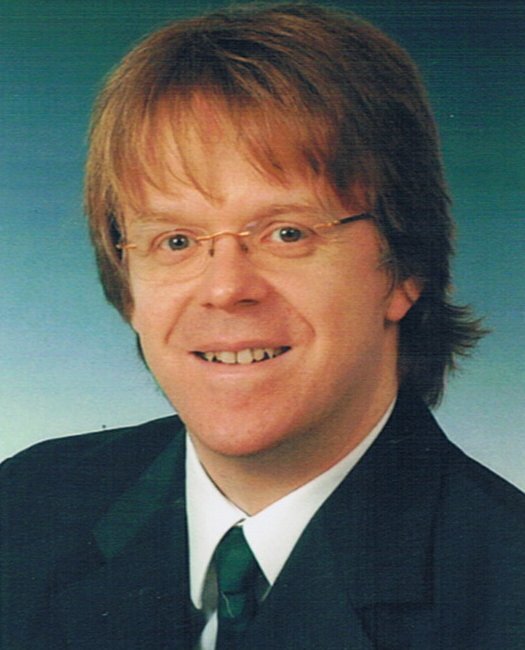 He finished his PhD thesis in Kaiserslautern on "A Multiscale Method for the Gravimetry Problem: Theoretical and Numerical Aspects of Harmonic and Anharmonic Modelling" in 1999, for which we was awarded a prize by the foundation of the Kreissparkasse Kaiserslautern. From 1999 to 2002, he was employed as a research fellow (wissenschaftlicher Assistent) at his university. After his habilitation in 2002 on "A multiscale approximation for operator equations in separable Hilbert spaces - case study: reconstruction and description of the Earth's interior", he remained at the Department of Mathematics at the University of Kaiserslautern as a lecturer (Hochschuldozent) and as an acting professor in the local Geomathematics Group. In 2007, 2008, and 2011, he followed invitations for longer stays at the Isaac Newton Institute for Mathematical Sciences (INIMS) respectively the Department of Applied Mathematics and Theoretical Physics (DAMTP) at the University of Cambridge, UK. Further invitations as a visiting scholar led him, for example, to Princeton University and the JPL from NASA at Caltech. Professor Michel has supervised numerous third-party fund projects (mostly by the DFG) and has organised several conferences on inverse problems and on geomathematics. Since 1 October 2008, he has been professor for mathematics in engineering at the Department of Mathematics of the University of Siegen. He founded the Geomathematics Group in Siegen. From March 2014 to March 2016, he was the head of the Department of Mathematics in Siegen. He is a member of the editorial boards of the journals "International Journal on Geomathematics" and "Mathematics of Computation and Data Science" and the book series "Geosystems Mathematics". He is also an editor-in-chief of the "International Journal on Geomathematics" since 2019.